Hundreds gathered in Augusta for the dedication of the city's first permanent memorial for Vietnam War veterans. 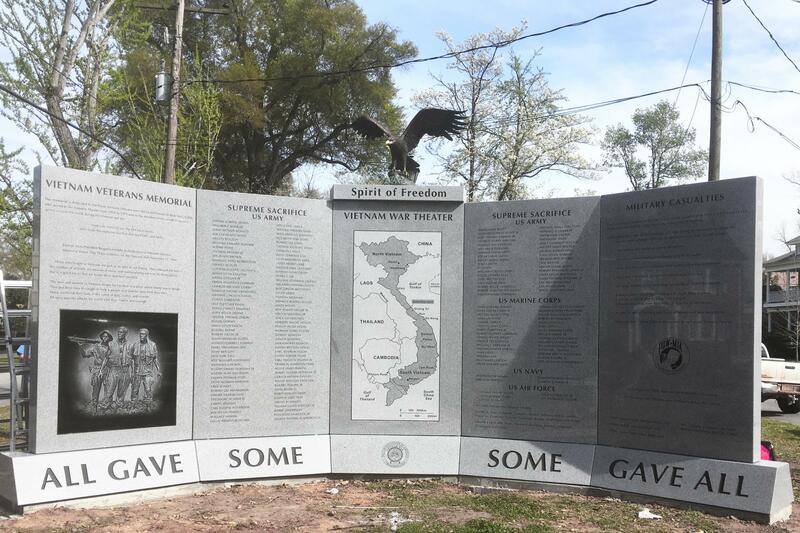 March 29 is National Vietnam War Veterans Day and, in Augusta, they honored the day by unveiling the city’s first permanent Vietnam War Memorial. More than 15,000 Augusta area residents served in Vietnam, and 169 lost their lives there. Dr. James Brady III chaired the Vietnam War Memorial Initiative Steering Committee. He volunteered for the job because it would help heal some old wounds for local Vietnam vets. More than 100,000 dollars were donated to build the memorial, which now stands at the corner of 4th and Broad streets, just a few blocks from Augusta’s controversial monument to confederate soldiers.